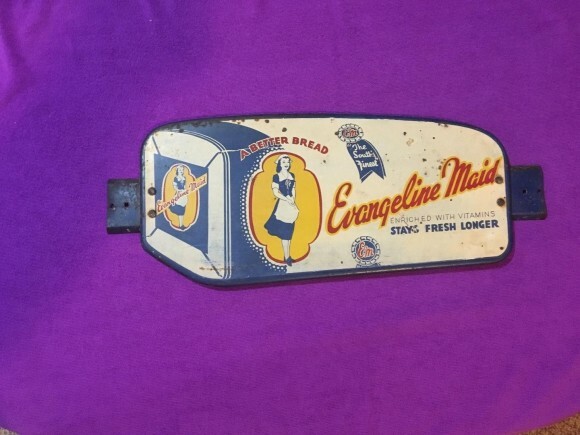 This sign is for Evangeline Maid Bread. The sign’s colors are blue, white, red, and yellow. The text on the sign reads: A Better bread Evangeline Maid Stays Fresh Longer. The sign shows a woman to the left of the door push with text to the right, meant to look like a loaf of bread.